President Recep Tayyip Erdogan said that the US is behind the economic attack on Turkey which has cost the lira approximately 40 percent of its value this year. 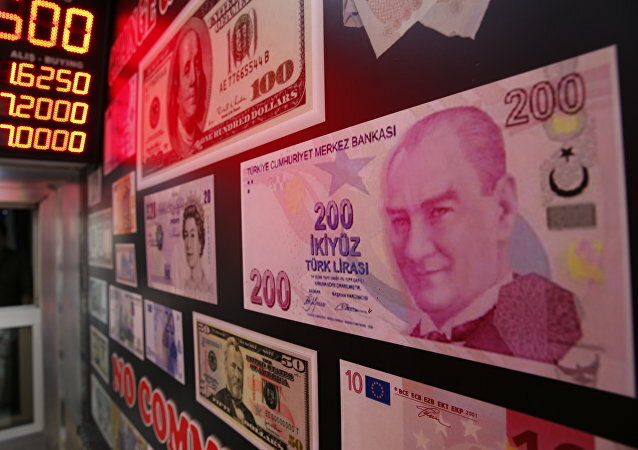 The Turkish economy has been suffering from the lira's collapse earlier this month due to escalating tensions with Washington. In only a few days, the Turkish currency lost almost 40% of its value but later experienced a partial recovery after promises of future investments from Qatar. MOSCOW (Sputnik) - The US administration imposes economic tariffs on goods from other countries to reap political benefits, and impress own voters, Ozturk Yilmaz, the deputy chair of the Turkish opposition Republican People's Party (CHP) responsible for foreign relations, told Sputnik on Tuesday. Donald Trump is making the dollar strong again through domestic economic policies and "temporary" tariffs, Wall Street analyst Charles Ortel told Sputnik, stressing that the recent national currencies slump in a number of states had been caused not by Washington's trade wars and sanctions, but vulnerabilities in their economic strategies. 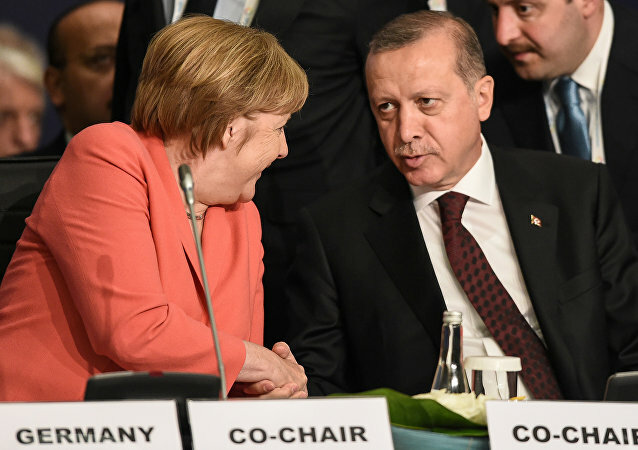 Turkey has a better chance at getting aid from the International Monetary Fund than it does with getting a little help from Germany, journalist John Angliss told Sputnik. 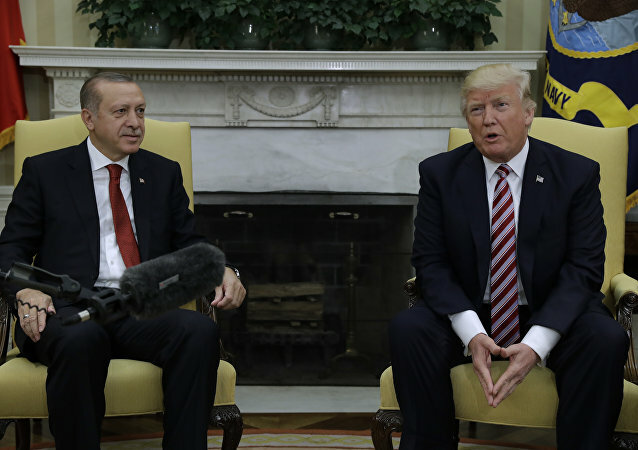 The ongoing US-Turkish tariff spat has opened a window of opportunity for Ankara and Brussels to mend fences, Turkish scholar Can Baydarol told Sputnik, explaining how EU member-states and Turkey found themselves on the same side of the barricades amid Donald Trump's trade warfare. The lira has staged a small recovery but that is threatened by a fresh tweet from US President Donald Trump. He said early on Friday that Turkey had "taken advantage of the United States for many years" and that he was "cutting back on Turkey". In response, Turkish President Erdogan has accused the US of trying to "bring Turkey to its knees". MOSCOW (Sputnik) - Standard & Poor’s has lowered Turkey’s long-term sovereign credit rating to "B+" from "BB-" over the extreme volatility of its national currency, while maintaining the outlook at stable. 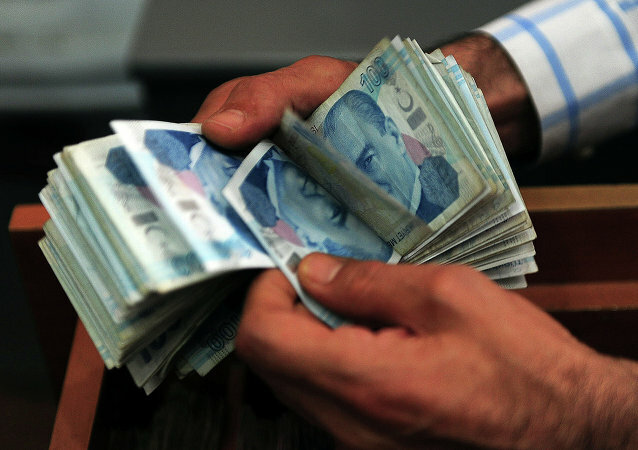 Turkey has secured $15 billion in investment from Qatar in a bid to bolster its economy. The news comes as Turkish President Tayyip Erdogan met with Qatar's Emir Tamim bin Hamad Al Thani amid currency woes. 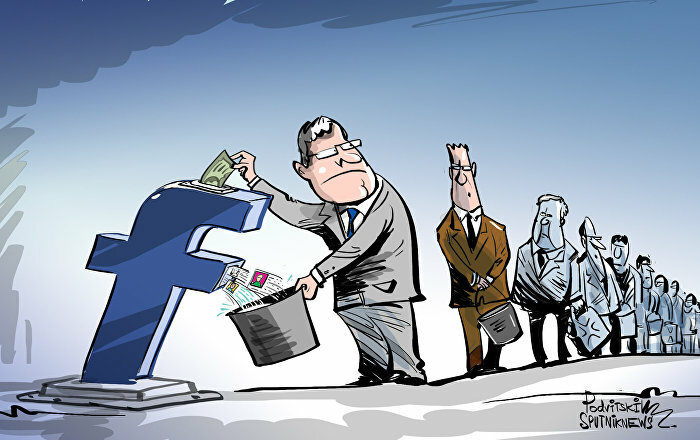 Sputnik discussed the matter with Ilhan Tanir, a political analyst and journalist based in Turkey. A fierce US-Turkish tariff spat and a diplomatic row over the fate of American pastor Andrew Brunson detained in Turkey in 2016 have dealt a heavy blow to the Turkish national currency. Speaking to Sputnik, Russian economists have suggested that the Turkish lira's slump may eventually backfire upon the euro.